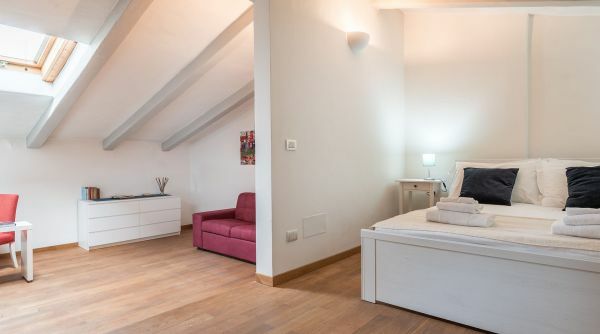 The apartmente Novoli Skyline in on the seventh floor of a modern building with elevator, into the district of Novoli in Florence. 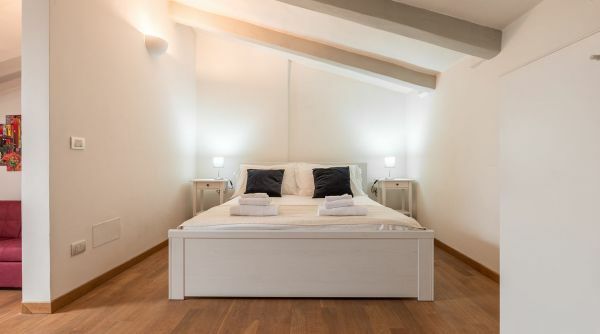 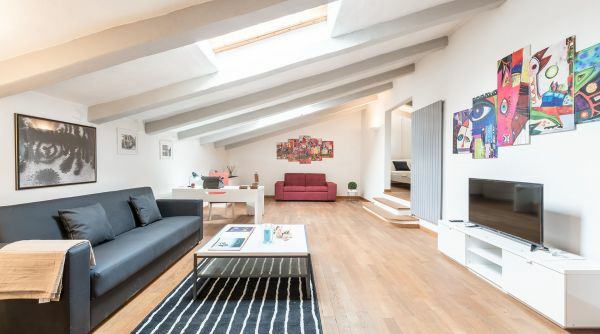 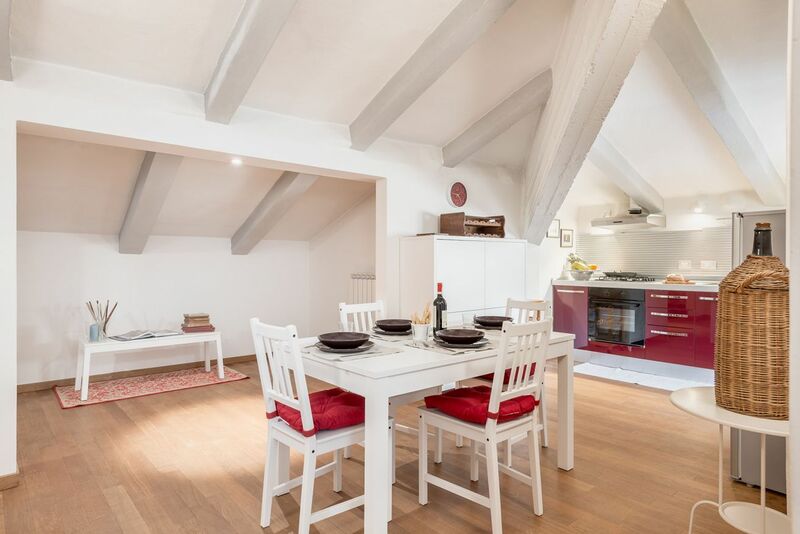 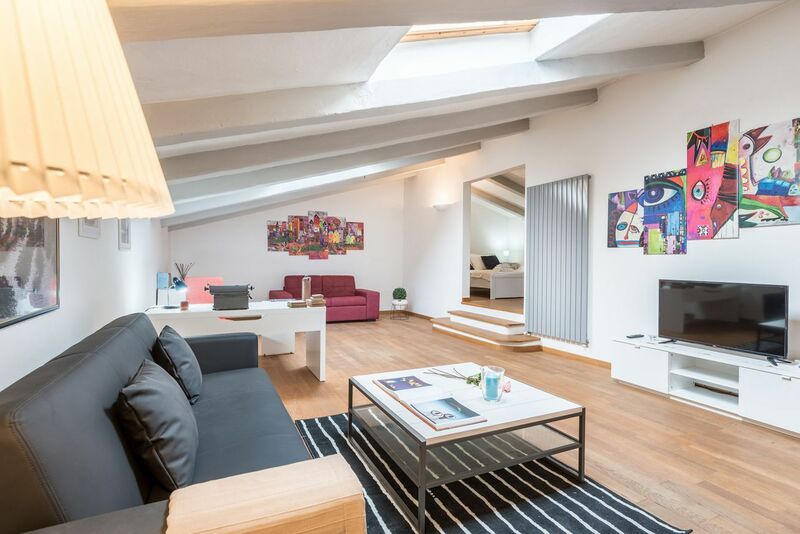 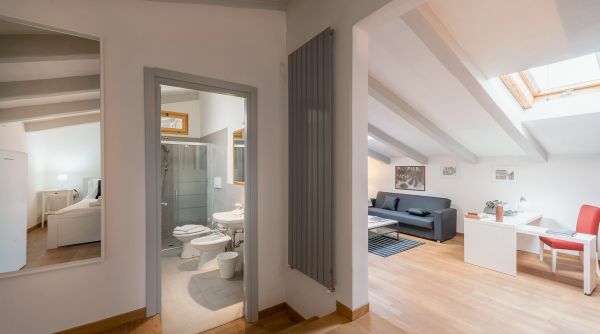 This is a nice and very modern loft recently renovated and capable to accommodate up to 6 guests. 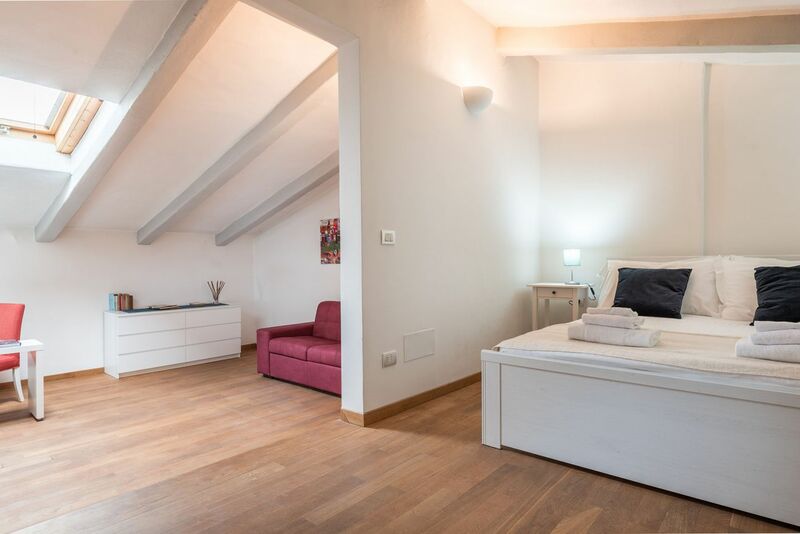 Novoli Skyline consists of a ful bathroom with shower, a well equipped kitchen with dining table, one double bedroom and a wide living room with two double sofa bed and a Television. 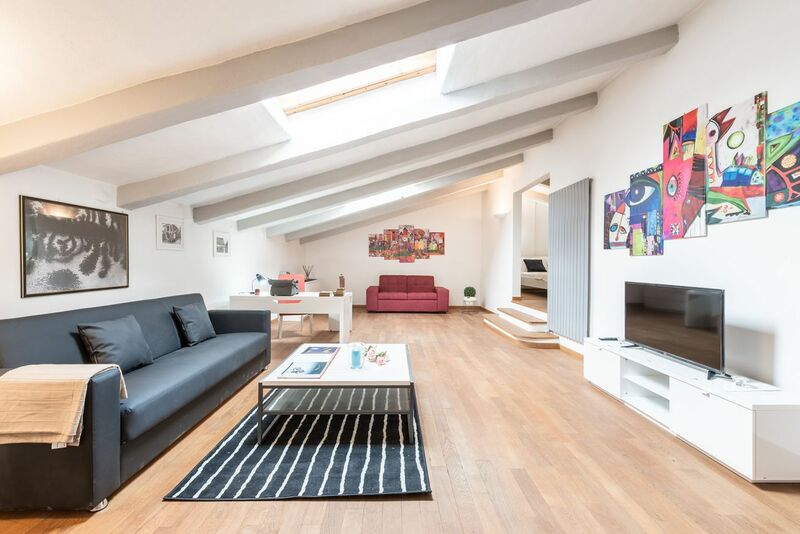 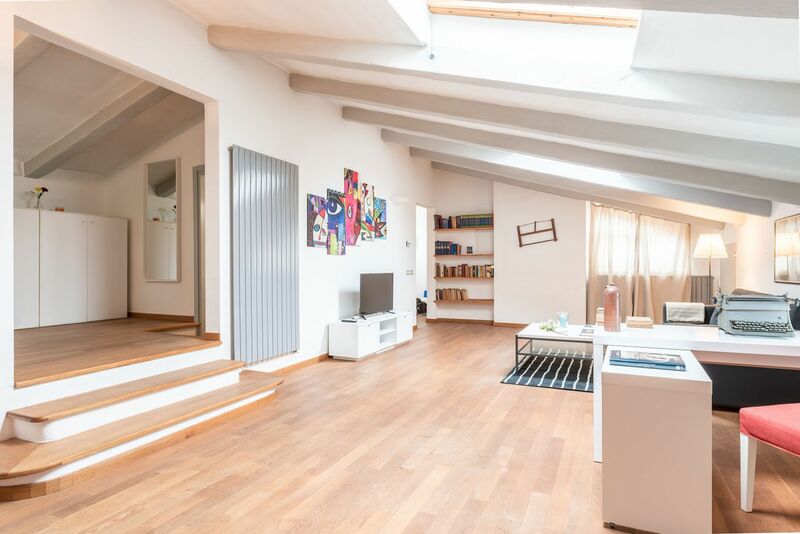 The large living room, modern furniture, attention to detail and competitive price make this loft the right choice for a group of friends or a large family visiting Florence. 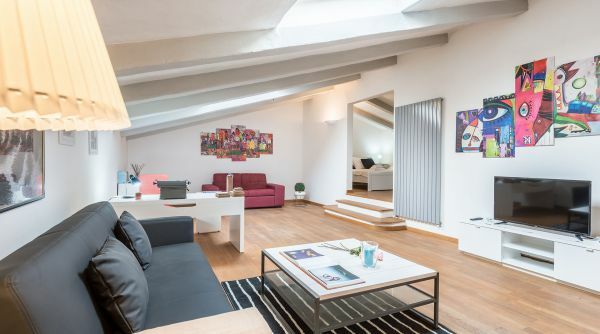 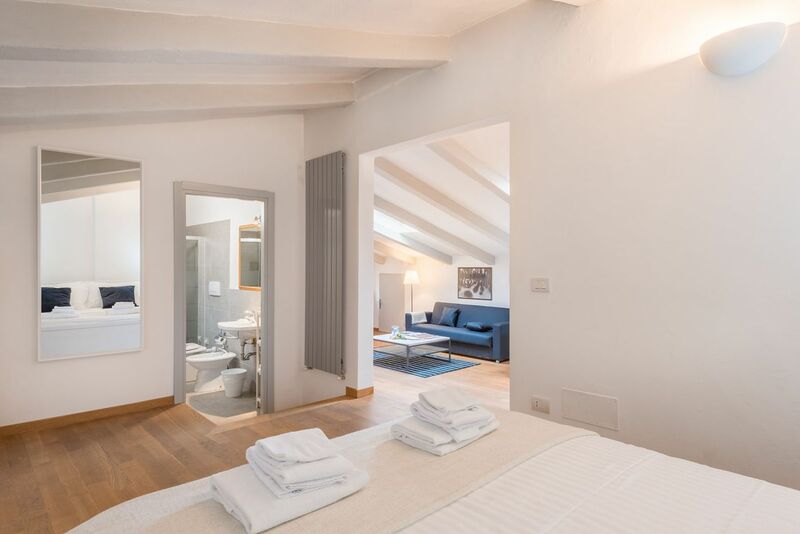 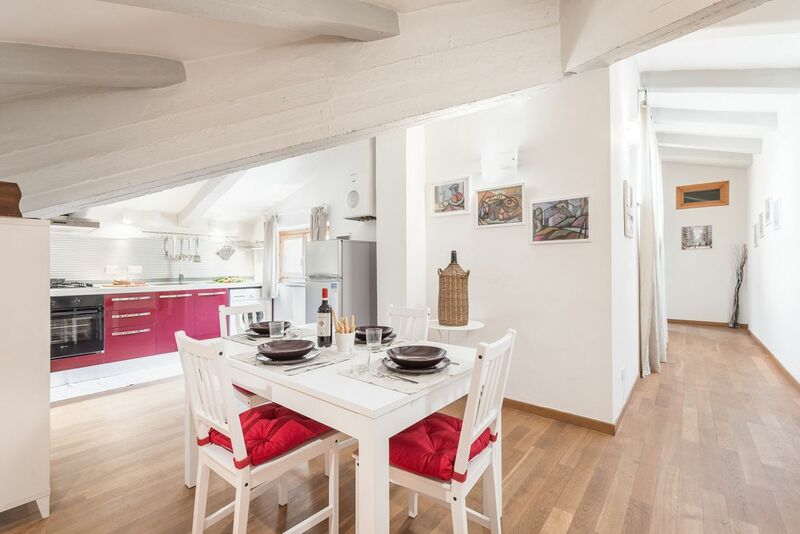 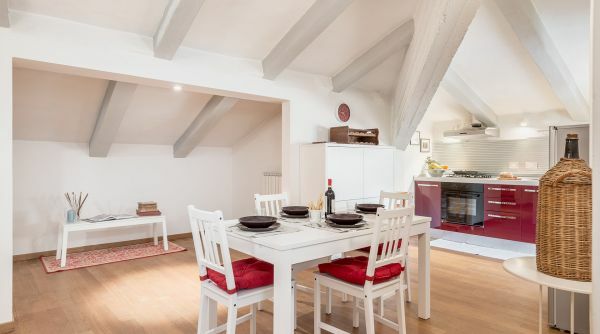 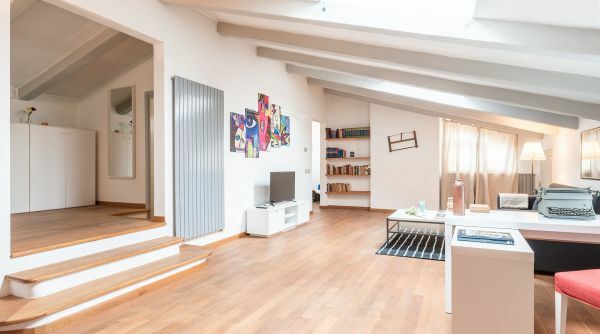 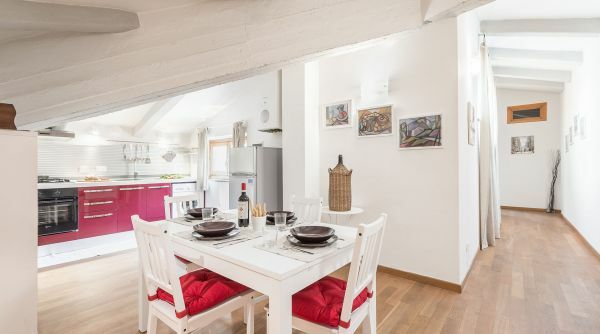 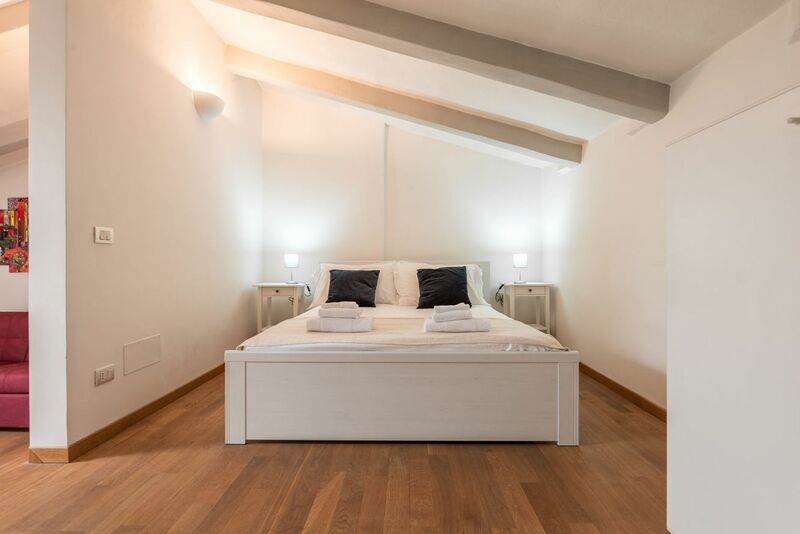 Novoli Skyline is a very modern loft located in the district of Novoli, a residential neighborhood on the outskirts of Florence, where there are many shops and supermarkets. 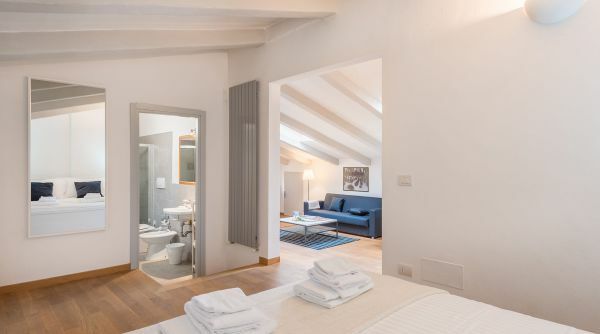 This area is well connected to the historic centre and especially central station of Santa Maria Novella, from where you can easily reach all the monuments of Florence. 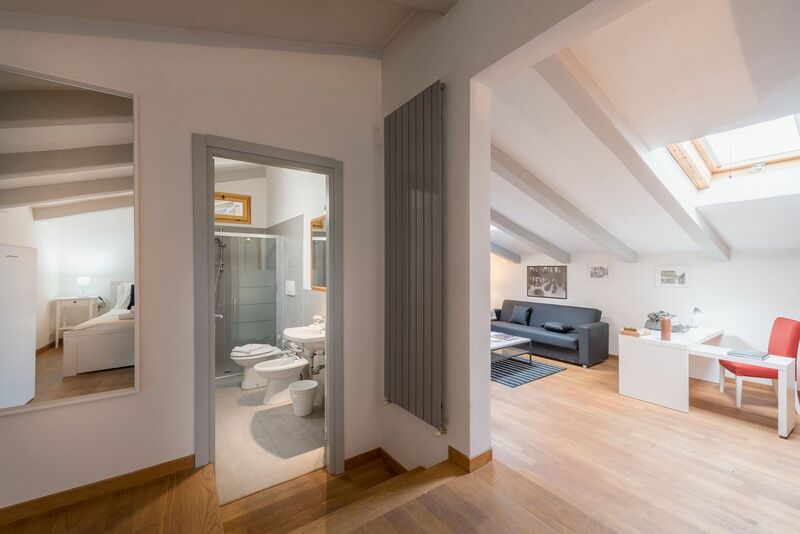 From the main train station of Firenze, Santa Maria Novella, you can get a bus, lines 17 and 22 by ATAF.